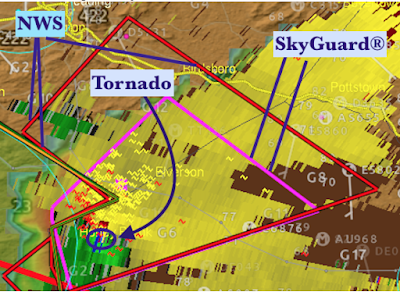 Here is video of a tornado near Morgantown, Pennsylvania, this afternoon. In addition to the obvious lesson that tornadoes can and do occur well away from "Tornado Alley," I would like to mention the value that AccuWeather Enterprise Solutions brings to storm situations throughout North America. Here is a screenshot from one of our workstations when the storm was in progress. 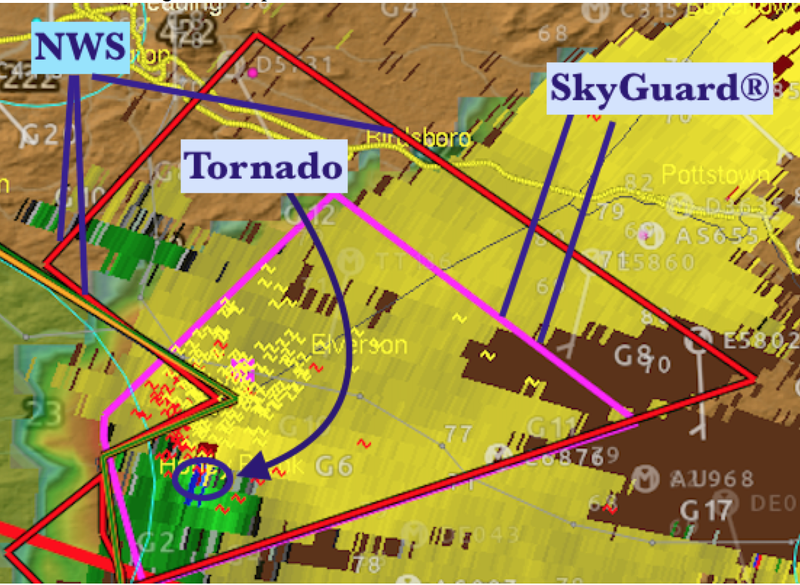 The AccuWeather SkyGuard® tornado warning (pink) is considerably smaller and more precise than the National Weather Service's (red). When a too-large warning can cost businesses literally hundreds of thousands of dollars, the added precision from AccuWeather is a smart investment. For more information? Sales@accuweather.com .